By Russell Pollitt, SJ The Prefect of the Vatican Dicastery for Communications, Mr Paolo Ruffini, began today’s Synod press briefing with a report outlining numerous interventions made in the Synod’s general assembly hall. 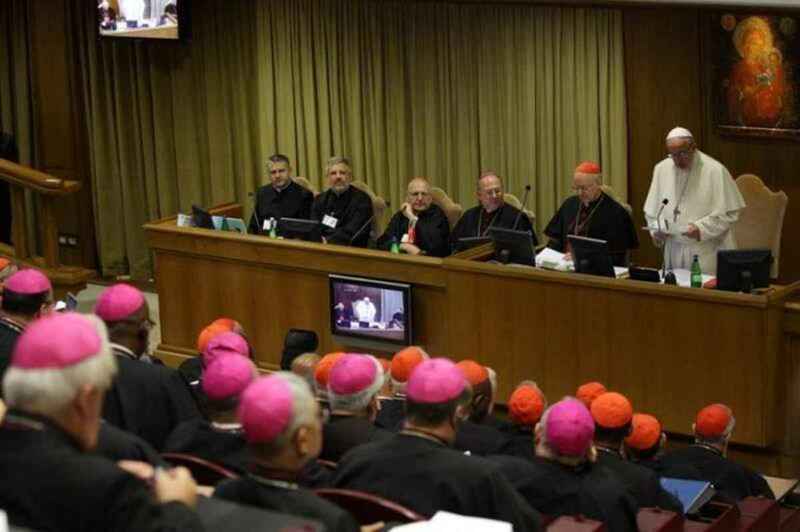 The bishops have begun working on the second part of the Instrumentum Laboris, analysing the context in which young people find themselves today. Archbishop Jean-Claude Hollerich of Luxembourg said that the world is experiencing a deep and profound change of civilisation. He said that he has contact with young people, he has young people living in the bishop’s residence, and has realised that they live differently. He said that he has learned that many young people have never read a book, instead they watch and quote Netflix. Discernment, the archbishop said, is not about black and white but discovering all the different colours and shades of reality. He said that discernment is not about opinions clashing but about greatert listening and the ability to feel and see what God wants us to do. This, he noted, is what the Synod is all about.